Way back when people had fairy tales to explain what was going on in the king’s castle. Today’s successors to those tales are set in the White House – and in the case of HBO’s Veep, laced with enough profanity to raise the eyebrows of a biker. When Veep started back in 2012, it was hilariously shocking, and not only in its language. Its premise is that incompetence and selfishness are what really reign supreme in government. Julia Louis-Dreyfus’ character Selina Meyer is a frustrated, power-hungry vice president with a bumbling staff. What is “right” never even enters the conversation – the characters want what is easy, popular, and above all good for #1. What a crazy notion, right?? Times have changed just a tad since the show premiered. Now, as Veep enters its seventh and final season, we may find ourselves longing for the halcyon days when there were real-life norms for the characters to break. We are so far from the world of “The West Wing” that it feels like it might as well have been about princesses and knights. I think we might have had more faith in government even when we were watching “House of Cards.” Kevin Spacey’s character was diabolical but at least he had a coherent plan. 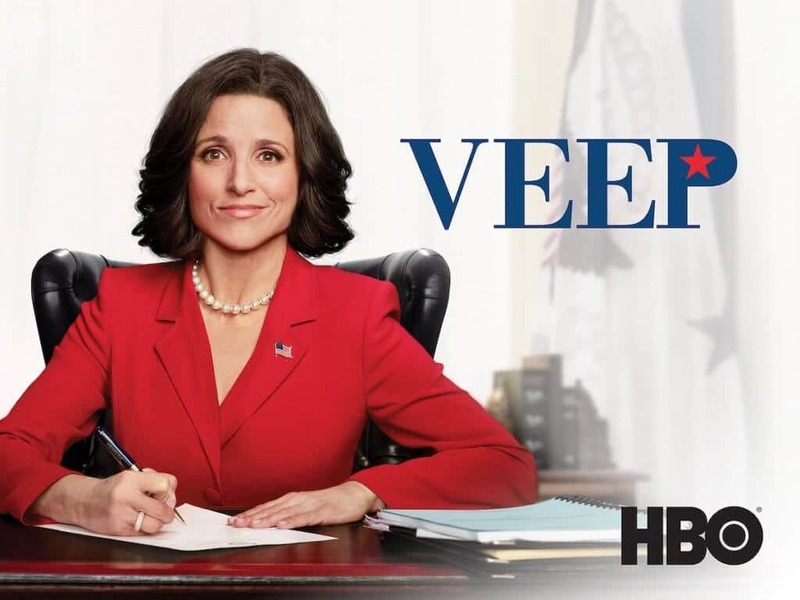 That said, we might just need Veep now more than ever – and not just because Louis-Dreyfus is sharp as a tack and deserves every Emmy she’s gotten for the show. Or because it shows an actual woman in the Oval Office – even if she’s despicable in almost every way. We need Veep because as it spoofs, it humanizes those people in positions of such power. Just like a fairy tale might point out the foibles of royalty, Veep shows just how vulnerable they are. To function, Meyer relies on her infantile assistant Gary (played by the ever-adept Tony Hale), a hapless press spokesperson Mike (Matt Walsh) as well as an assortment of others who might be capable but are constantly thwarted. They might be at the top but they are just as clumsy as the rest of us, and just as liable to fall down. Veep also gets in some biting commentary about the political system as the characters putz their way into and out of power. For instance, the NRA manages to buy a seat in Congress for a spectacularly incompetent character. And being awful so often seems to only increase their popularity. Every Veep fan will be watching this season to see what ultimately becomes of Meyer and crew – odds aren’t good for happily ever after, but perhaps a few lessons might be learned? Or not. At the least, I for one will be happy that at least this political scandal’s repercussions pan out in fiction, not reality. Currently, HBO is airing new episodes of Veep weekly, the first episode of season 7 having been aired on March 31. Fortunately, you don’t necessarily need to cable to catch up on Veep before the end. All the following methods below will allow you to watch current and past seasons of Veep. As explained in our Hulu TV review, Hulu now offers live channels. However, they also offer HBO for $14.99 per month. Furthermore, HBO is available to all customers whether they are subscribed to the Live TV service or just Hulu’s on-demand library. This will give you access to every episode of Veep. PlayStation Vue is a great way to watch Veep online and also get a ton of TV channels without needing a cable provider. Vue’s entry package costs $44.99 per month and delivers over 50 channels over the internet. Adding HBO will cost an additional $15 per month. You can check out their 1-week free trial to see if you like the service. 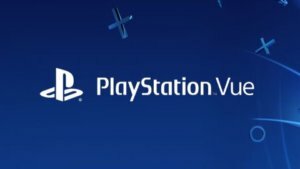 Vue is available on more devices than just PlayStation 4 game consoles. See our review of PlayStation Vue for more details on what channels are available and device support. If you subscribe to DirecTV Now, “Veep” (and all other HBO shows) are included in the “plus” package. It gives you more than 40 channels for a monthly price of $50/month. Be sure to check out of Direct TV Now review for more details. Alternatively, you can purchase a subscription to HBO Now, the a la carte option for HBO, which is also $14.99/month after the free trial. However you slice it, you’ll need to pay that much to stream “Veep” as well as all of HBO’s other shows. Check out our review of HBO Now for information on installing the service on various devices. If you are only interested in “Veep” and you think you might want to watch it more than once, you can purchase it by the episode or the season. The cheapest way to start watching early seasons of “Veep” is through your Amazon Prime video membership ($12.99/month). The first two seasons are included. However, to watch further, you’ll need to pay extra. On Amazon, YouTube, and Google Play you can get “Veep” by the episode for $2.99 HD/$1.99 SD or $14.99HD/$12.99SD for each season 2-6. YouTube and Google Play offer season 1 HD for $9.99. On Itunes and Vudu you can get it for $2.99HD episode and $24.99 per HD season ($19.99 for season one). Vudu also offers episodes for $1.99 SD and seasons for $18.99 SD, $14.99 for season one.